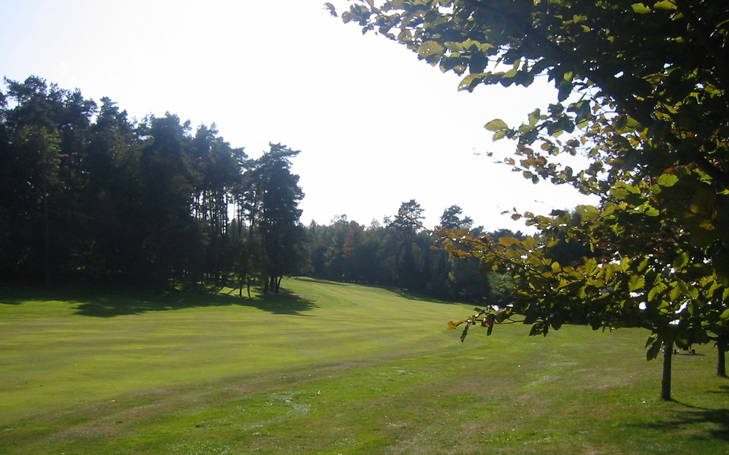 Golf-Club Grand-Ducal Hole 2: This short par 5 doglegs left and the key feature is a huge tree guarding the left side of the green about 30 yards shy of it. It is nearly impossible to go over so lay-ups must be to the right or if the golfer goes for it in two, a low running shot may have a chance of finding the green that slopes away. 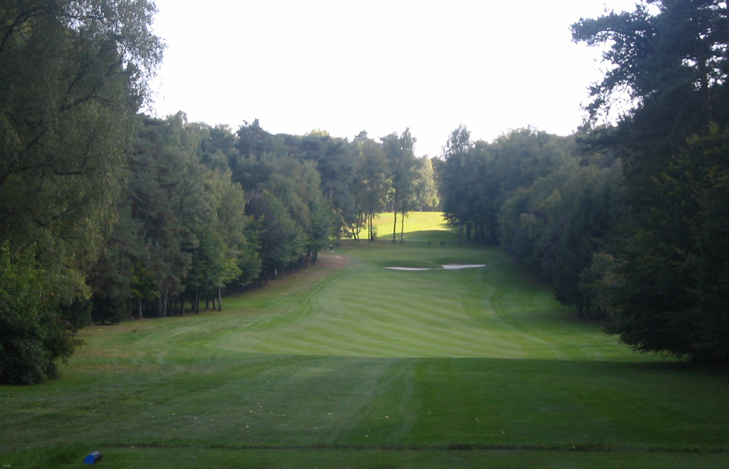 Golf-Club Grand-Ducal Hole 3: For some reason, this seemingly benign, straight, short, par four plays tough as the fairway's slope from right to left makes hitting it difficult and the surrounding rough is thick. The green is also very undulating so distance control (tough from the rough) is key. Golf-Club Grand-Ducal Hole 6: By far the most difficult hole on the course, at nearly 460 yards, the tee shot is downhill, but the approach is back up to a green cut above a large bunker in the hillside and surrounded in the back by more bunkers and hillside. Two perfectly placed shots are required on this dogleg left. 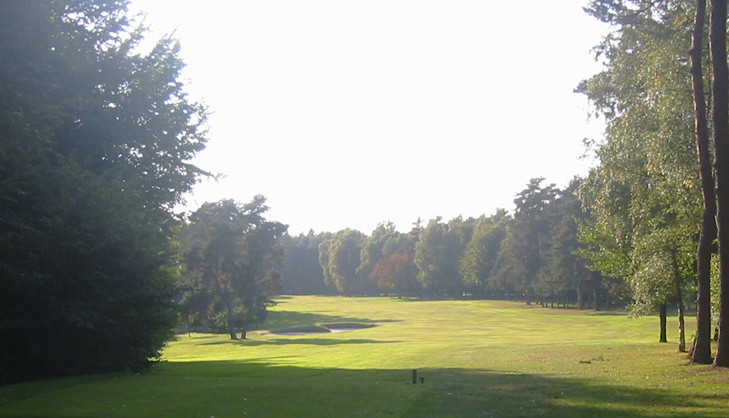 Golf-Club Grand-Ducal Hole 15: This par 5 slight dogleg left has a nice sweep along the edge of the golf course property. Danger lies if any shot goes too far left, but reaching the green in two is a definite possibility. 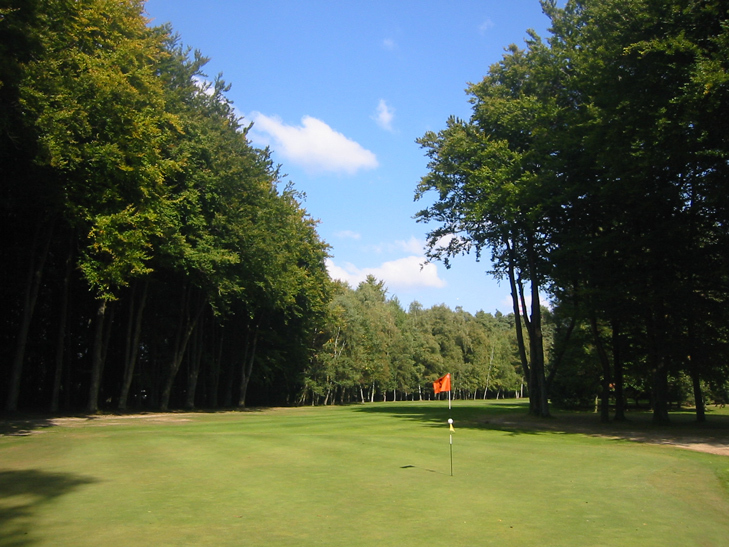 Golf-Club Grand-Ducal Hole 18: The finishing hole is a short par five that offers a good scoring opportunity for the golfer who can find the tight fairway. The clubhouse in the background is spectacular in fall when ivy climbing its walls is bright red, but don't go long of the green as OB is lurking there.